The entry level section of audio gears is a much coveted area in the audio market (due to a combination of budget and new hobbyists) so it's not surprising that there's a new budget/entry level product that frequents the market every so often. For my first Astrotec IEM, I was given their new entry level dynamic driver IEM called the NG30. And like a recent trend am noticing with entry level audio gear is that they're getting better and better for the price they ask, let's see how the NG30 works out of the box. Looks wise, the NG30 is pretty good overall. The cable is light, flexible and sturdy, a bit expected nowadays but it does not give the impression of cheapness. There's no microphone on the cable and the plug, splitter and cinch are made of a nice metallic material but is also, almost a bit standard. 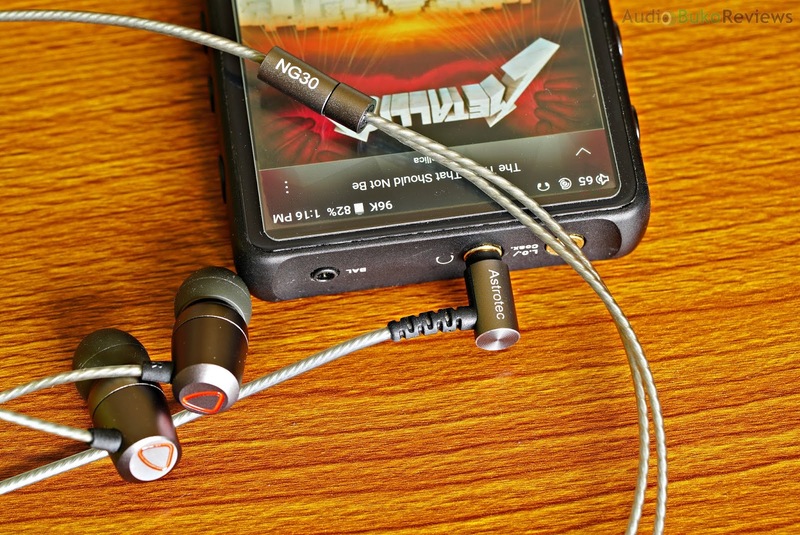 What seems to be getting popular and at the same time, desirable these days for daily drivers is having a metallic shelled IEM for durability, and the NG30 has this covered. Made of a rather dense metal shell, this elevates it above the typical aluminum or acrylic shells from other products at around this price point. Replacing the stock tips with Symbios and plugging them into the Audirect Beam, I tried playing a few songs into the NG30. The bass on the NG30 is pretty good, the pounding drums in the intro of Way Down Deep sound natural in sound expansion and comes with a good noticeable slam that doesn't bleed into the mids. Mids sound a bit neutrally placed for males and a bit forward for female vocals, they sound touched by a bit of warmth and is rendered with adequate clarity which is always a good thing for me. The treble here sounds nice, in a safe sort of way, there's isn't a lot of crispness there but it is clear, and has an average extension without much roll off. Control seems good as I tried playing some sibilance prone songs and harsh cymbal crashes without incident. Overall, this is an interesting IEM that's so very close to my own preferred sound and comes at an affordable price.